The news hasn’t been good for the cable providers. Last quarter saw some significant subscriber losses. In the turmoil, Netflix passed a notable mark—they now have more subscribers in the U.S. than the total coaxial cable subscribers. According to recent data from Leichtman Research, the nation’s largest cable providers ended the first quarter with around 48.6 million subscribers. The U.S. Netflix subscriber count at the end of that same period was 50.85 million. 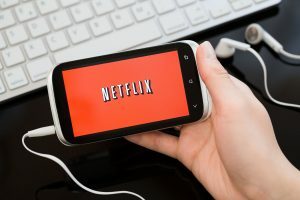 Of course, it should be noted that the total number of pay TV subscribers in the U.S. is around 93.3 million which includes satellite TV subscribers (33.1 million), telco TV subscribers (9.1 million), and internet streaming services. Even as Netflix continues to build out its library and original programming, it’s going to be a challenge to reach that 100M subscriber threshold. With the recent addition of Netflix to Xfinity X1 service, it may even help retain pay-TV subscribers —even as its own subscriber base grows.